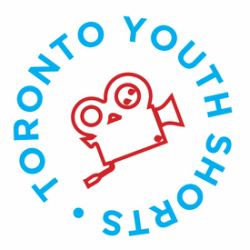 Toronto Youth Shorts is Ontario's largest youth-based film festival. We exclusively offer local young filmmakers a platform to showcase your work to a captive audience, learn from one another, and engage experienced working professionals. Founded in 2009, Toronto Youth Shorts is a multi-event festival featuring the best films by the industry's future storytellers. Like the city that hosts the festival, the programming repertoire highlights many voices of different backgrounds, providing a true reflection of diversity. Since inception, the festival has provided numerous awards determined by a jury made up of working professionals in film, media, and entertainment. Past jury members of the festival include Anne Brodie (Film Critic, Sirius XM Radio), Erica Proudlock (Manager of Film Programs, Canadian Film Centre), Jason Anderson (Short Cuts Programmer, TIFF), Kara Haflidson (Production Executive Factual & Comedy, Bell Media Independent Production), Lauren Grant (Producer, Picture Day starring Tatiana Maslany), Mik Perlus (Vice President, Kids and Family, marblemedia), Nicole Mendes (Executive in Charge of Production, CBC), Norman Wilner (Senior Film Writer, NOW Magazine), and Peter Sander (Academy Award-nominated animator).